If you have any questions about the ABSINTHE information page below please contact us. The motor yacht ABSINTHE is a superyacht of large proportions. 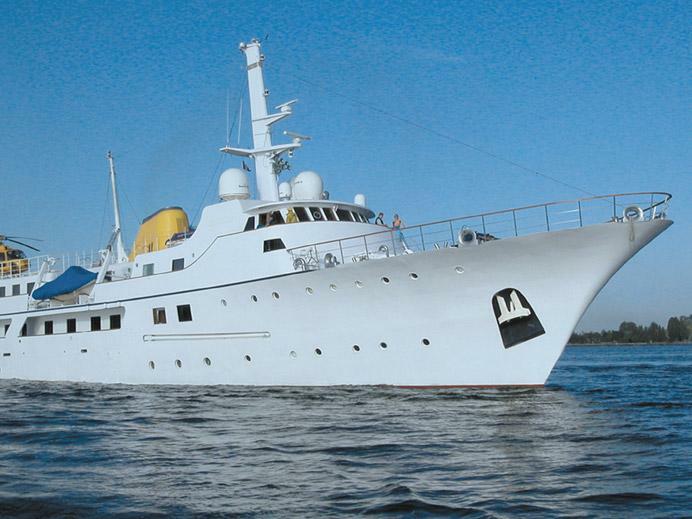 This 61 metre (201 foot) luxury yacht was built by Astilleros Y Talleres Celaya in 1973. ABSINTHE is ex the project or yacht name Claire T; Nefertiti; Eretria Ii; Lara A. Superyacht ABSINTHE is a upscale yacht that can accommodate as many as 25 people on board and has approximately 14 professional crew. 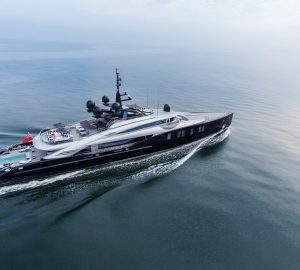 Another provision of this beautiful motor yacht is her heli deck. The firm of naval architecture which delivered this yacht's design in respect of this ship was Sparkman & Stephens. Sparkman & Stephens in addition was the designer which over saw this boat's interior styling. The yacht's wider design collaboration came from Sparkman & Stephens. The technical naval architecture drawings are a creation of Sparkman & Stephens. Motor Yacht ABSINTHE received her elegant interior designing from the interior design skills of Sparkman & Stephens. Built by Astilleros Y Talleres Celaya the vessel was built in the yacht producing country of Spain. She was officially launched in Bilbao in 1973 before being transferred to the owner. A spacious area is manifested with a widest beam (width) of 9.48 metres / 31.1 ft. With a 3.78m (12.4ft) draught (maximum depth) she is fairly deep. The material steel was used in the building of the hull of the motor yacht. Her superstructure above deck is created with the use of aluminium. In 2005 further refit work and updating was also finished. The yacht is engineered with twin CATERPILLAR main engine(s) and can manage a industrious maximum continuous speed of 15 knots. The main engine of the ship generates 1125 horse power (or 828 kilowatts). Her total HP is 2250 HP and her total Kilowatts are 1656. Connected to her Caterpillar engine(s) are twin screw propellers. For stabalisers she utilises Vosper. ABSINTHE has a/an efficient cruising speed is 13 knots which makes a range of 6000. With quarters for a limit of 25 welcome guests spending the night, the ABSINTHE accommodates them in style. The boat uses approx 14 proficient crew members to maintain and sail. 61.3 metres / 201.12 feet. Giving the combined power of 2250 HP /1656 KW. 6000 at a speed of 11 knots. Caterpillar 2 times 300 kilowatts. Marseille. France. Département des Bouches-du-Rhône. Provence-Alpes-Côte d'Azur. During Sept 2009 ABSINTHE cruised to Marseille, in France. 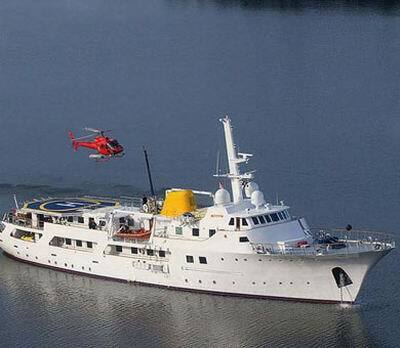 This motor yacht also navigated the area near Département des Bouches-du-Rhône during the month of October 2009. This Astilleros y Talleres Celaya SA Motor Yacht is fully equiped with a helicopter platform facility. ABSINTHE features a teak deck. 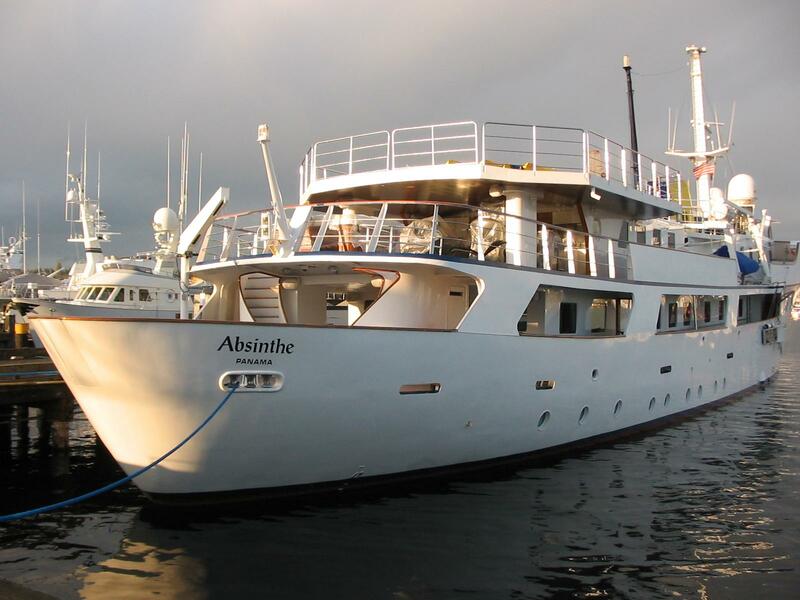 The luxury yacht ABSINTHE displayed on this page is merely informational and she is not necessarily available for yacht charter or for sale, nor is she represented or marketed in anyway by CharterWorld. This web page and the superyacht information contained herein is not contractual. All yacht specifications and informations are displayed in good faith but CharterWorld does not warrant or assume any legal liability or responsibility for the current accuracy, completeness, validity, or usefulness of any superyacht information and/or images displayed. All boat information is subject to change without prior notice and may not be current.